Before the earthquake about 800 foreigners lived in Ishinomaki, but that number has fallen significantly since the earthquake. I learned that there are about 200 women who have come to Ishinomaki as brides and interviewed Mie Sugiyama from Taiwan and Rijun Bi from China, non-Japanese mothers who have lived in Japan for over 15 years. 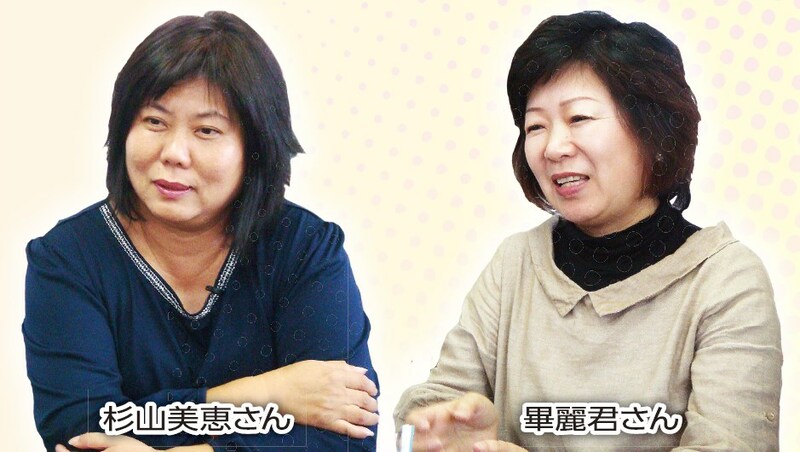 The ‘Happy Mothers Club’ to which both Mrs Bi and Mrs Sugiyama belong, was founded to provide a place for mothers from overseas living in Ishinomaki to support each other so they can enjoy their daily lives in Japan. The club meets on an irregular basis and each time people from different countries come along. They drink tea together, discuss their concerns and sometimes introduce the culture of their home countries to each other. Both mothers also tell me that the ‘role of the father’ is different in Japan to their home countries. For Taiwanese men, it is a given that they will learn how to do housework and they share the load from a young age. Apparently it is said that if men don’t know how to do housework they won’t be able to find a girlfriend. Day to day, Mrs Sugiyama follows a Japanese lifestyle for 90% of the time, while the remaining 10% is lived in a more Taiwanese fashion. There are times when there are things which, as a Taiwanese, she can’t let go of. Mrs Sugiyama does not want her children to forget that their mother is not Japanese. By contrast, Mrs Bi says that her lifestyle is primarily Chinese. She has been teaching her children Chinese since they were little and hopes that it will in some way be useful to them in the future. She says she sometimes slips into Chinese during normal conversation. In February next year, they intend to take part in the ‘I fell in love in Ishinomaki’ event (organized by the Ishinomaki Revival Support Network). The mothers from overseas will take charge of a section called ‘Around the World with Home Cooking’. Apparently, food will of course be provided but it will also be possible to try cooking for yourself. You will also be able to experience cultural differences by actually seeing how the food is prepared. 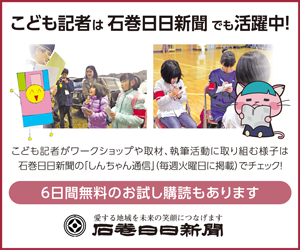 There are also plans for the foreigners living in Ishinomaki to give presentations in elementary schools. They explained that through presenting customs, language and food they want children to learn what wonderful things there are in other countries.